A classic Dragon Ball Z Hoodie. 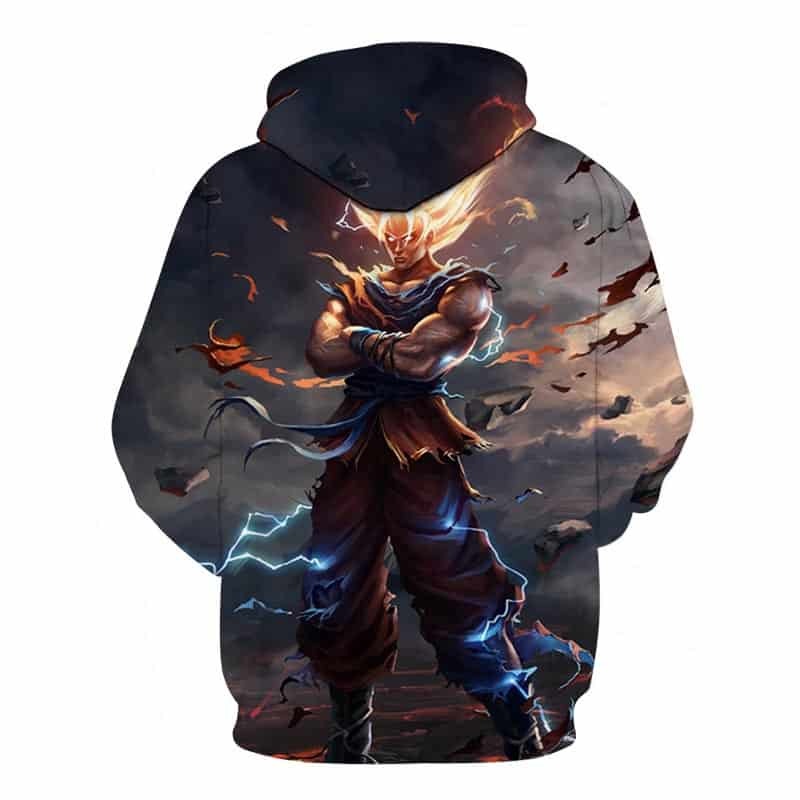 This Super Saiyan Hoodie features Goku harnessing with his golden blonde hair with matter floating all around him. 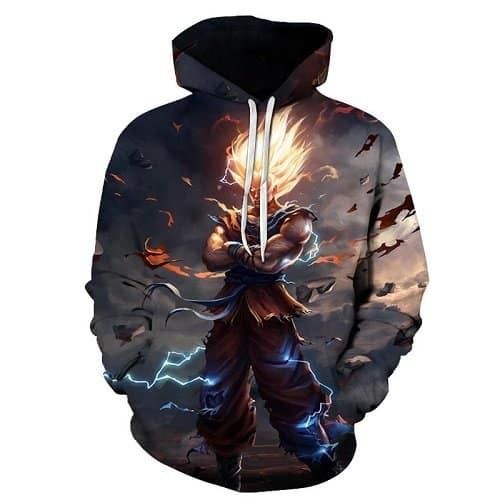 If you are a fan of Dragon Ball Z or Goku then this could be the hoodie for you. The hoodie is comfortable to wear, looks fashionable and is wearable anywhere. It was designed for both male and female. quality is good, fit size. because of long shot star.